If you’re on the fence about natural versus synthetic or chemical cleaners, ask yourself when was the last time you felt a little lightheaded after cleaning the bathroom? Conventional cleaners aren’t helping you—they’re actually doing more harm than good to you and the environment. From Simply Clean. 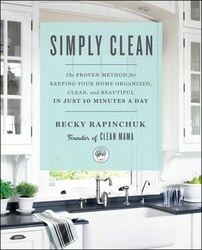 If you don’t want to make your own cleaners (I don’t make all of mine! ), look for commercial cleaners that don’t have warning labels like “Use in a well-ventilated area,” “Wear gloves when using this cleaner,” or “Contact poison control if you come into contact with this cleaner.” Do your research and make sure that you keep cleaners away from children and pets. Look for formulas with natural ingredients that you recognize—there are so many options available! Some products that you are familiar with still include formaldehyde, artificial fragrances, and other toxic preservatives. My favorite resource is the Environmental Working Group at EWG.org—they rate cleaners from A–F, then list the potential harm. If you’re worried that you need to kill every germ in order to keep your family safe, that really isn’t the case. I used to be that clean-everything-with-bleach person, but after researching and putting methods to use in my own home with three kids, I can assure you that you won’t miss the promise to “kill 99.99 percent of germs.” Interestingly, soap and water alone can remove most germs, and if you add a little vinegar or hydrogen peroxide to the mix you’ll find that you’re meeting that same almost 100 percent germ killing quota. This cleaner works perfectly on just about any surface you can dream up (except for marble, granite, and stone because of the acidity/pH level). Even better, it’s kid-friendly. Combine ingredients and pour into a glass spray bottle. Combine all ingredients and pour into a glass spray bottle. Spray surface and let sit 10 minutes before wiping. Looking for clean and streak-free windows and mirrors? This quick-drying spray will do the trick! 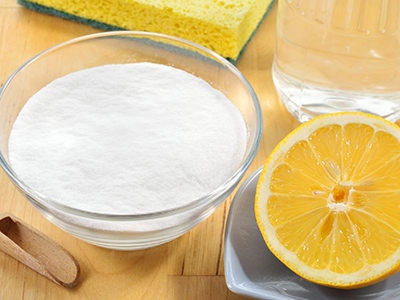 Mix in spray bottle, spray liberally on surface or directly on microfiber cloth, and wipe.